I know, from my work in schools, that there’s a hunger and a need for a positive view of adolescence. Parents of 10-12s in particular ask for something uplifting, unthreatening, empowering. I want to show young people and their parents that adolescence can be exciting, heartening, positive. The book covers many aspects of life: changes that happen in adolescence; looking after your physical health; making your brain work well and boosting mental health. There are tips and activities and everything is based around the principles of FLOURISH: Food, Liquid, Oxygen, Use, Relaxation, Interest, Sleep and Happiness. And it’s beautifully designed by the clever people at Hachette, making it a joy to read or dip into! Wonderful review on The Awfully Big Blog Adventure here. There are other fab reviews for both editions – I’m delighted and relieved! 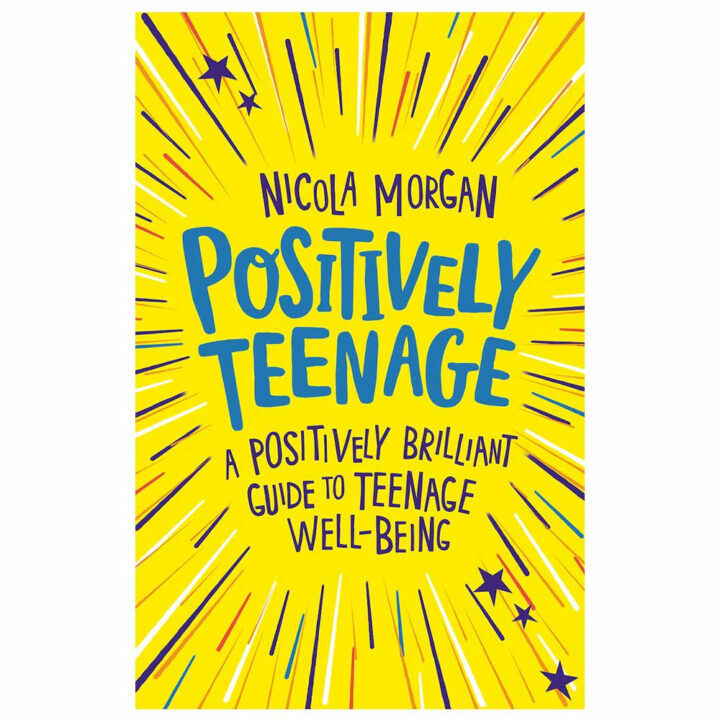 RESOURCES: You will find lots of resources about Positively Teenage here, including posters, handouts, teaching notes and a link to the “How Positively Teenage Are You?” quiz. Something has been happening since The Teenage Guide to Stress was published in 2014. Quite rightly, there has been a strong public focus on the devastating problem of teenage mental illness. While I’m very glad about this, there’s an unintended consequence: an impression that adolescence is a mental illness, that “teenage” is synonymous with “problem”, that bad things will happen in the teenage years, that it’s a time to be endured and survived, rather than lived well. We focus on the problems and forget the positives, the power. Something else: normal negative human emotions are too often viewed as a problem, as if anger, anxiety, fear and sadness were demons; as though feeling those things means there’s something wrong with your mental state. But “negative” emotions are entirely proper. It’s healthy to feel angry when someone treats us badly; anxious or afraid when faced with frightening things; miserable after sad events. Not to have those feelings would be unhealthy. That although “bad things happen”, good things happen, too, and many teenagers go through these few years perfectly well, becoming strong, resilient and ambitious young adults.